When designing your own engagement ring the choices might seem endless and confusing, that is why Lilia has put together this bespoke engagement ring design guide to help you through the process. To design your own engagement ring there 4 main choices for you to make. 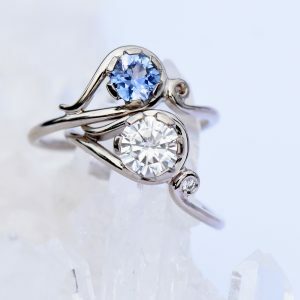 Ring design - what style of ring do you like, solitaire, Art Deco, Trilogy? 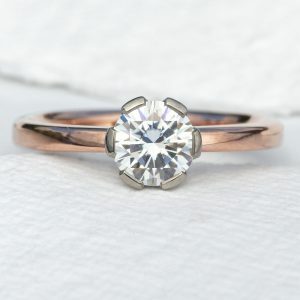 Ring setting - do you like a fluted, flower or flush setting? 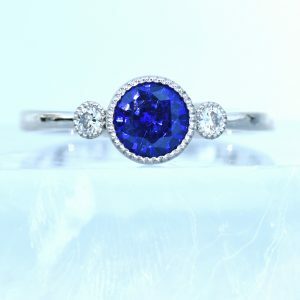 The gemstone - do you love a classic diamond, a stunning sapphire or a more unusual engagement ring gemstone? Metal and finish - from recycled 18ct yellow gold to platinum in a polished, satin or one of Lilia's signature finishes. 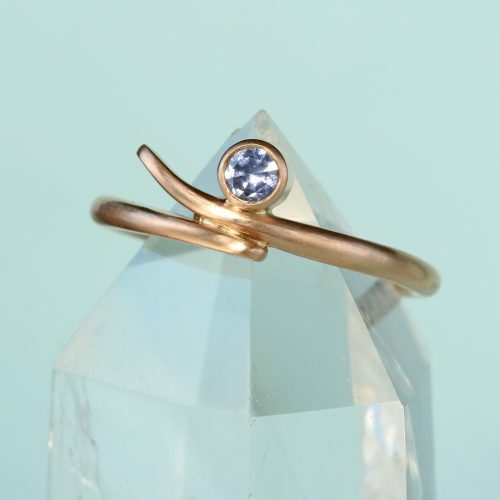 From Lilia's Art Nouveau ring to the classic simplicity of a solitaire engagement ring here are Lilia's signature ring designs. When you browse the designs please bear in mind that not all designs suit all sizes of stone. Lilia will be happy to discuss a ring design not shown below. 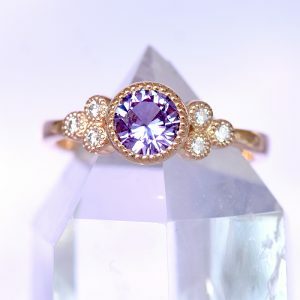 Lilia's signature Art Nouveau style makes a stunning and unusual engagement ring. 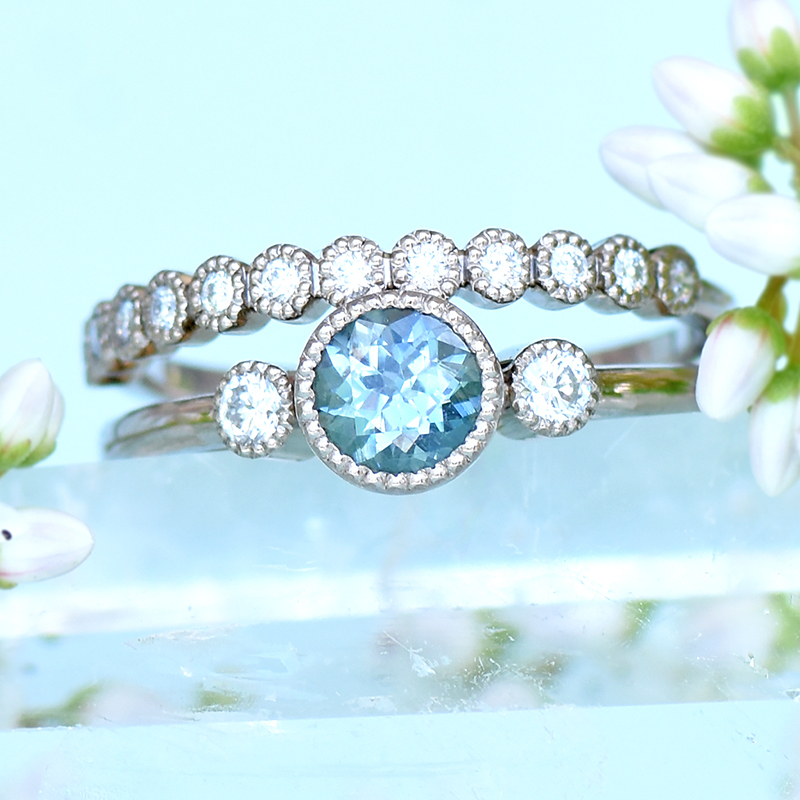 The 1.5mm halo profile band holds a flower-shaped setting suitable for gemstones from 5mm - 8mm. The small loop in the band can also be set with a small accent stone, as shown in this garnet and diamond ring. It can be made in 18ct white or yellow gold or platinum. A simple yet beautiful solitaire ring can be made with a rounded or flat profile band, and in any width from 1.5mm to 6mm. 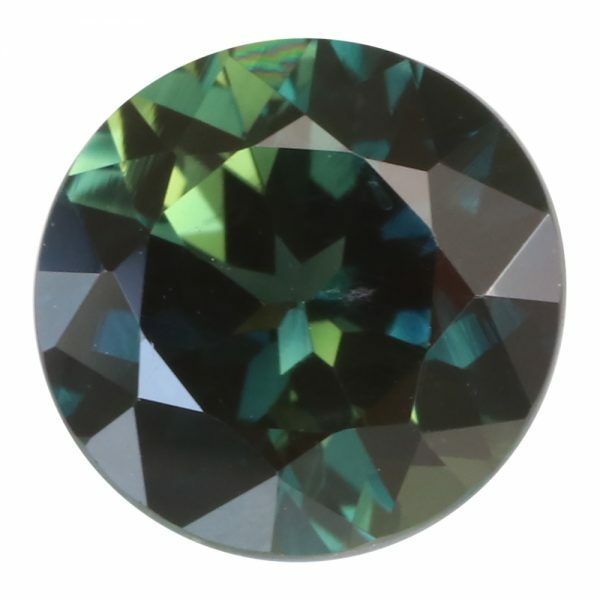 It is suitable for all settings and gemstones sizes from 3mm. 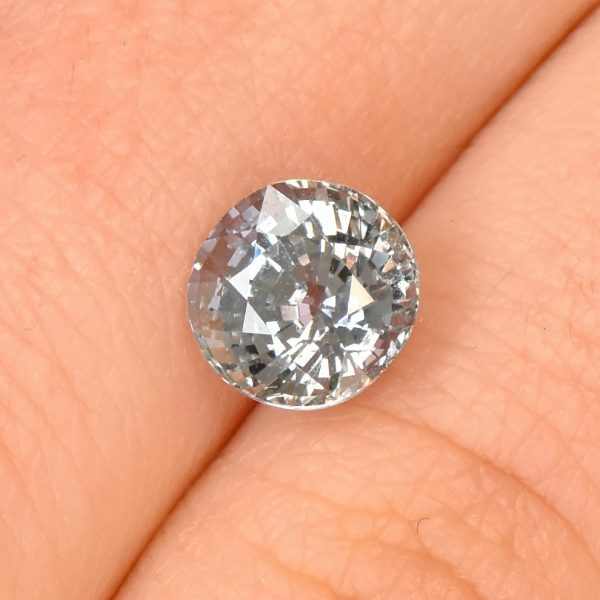 For wider bands (from 2.5mm), harder gemstones such as diamond, ruby or sapphire can be flush set into the band, either side of the main stone. Others options include carved flowers or leaves on the band. 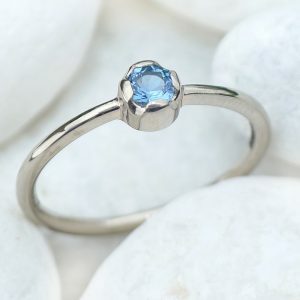 Accent rings are perfect for smaller gemstones, up to 3.5mm. 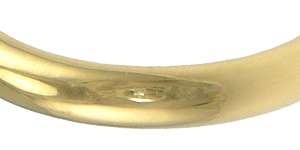 The ring is made with a 1.5mm halo profile shank, with the setting attached to the top of the band. It can be made in 18ct white or yellow gold or platinum. With a rounded or flat profile band with a thicknesses from 2.5mm flat profile (or 3mm rounded) up to 5mm. It is suitable for all settings except the bud setting. 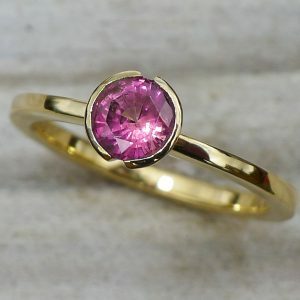 Gemstones can also be flush set into the band, just before the split. 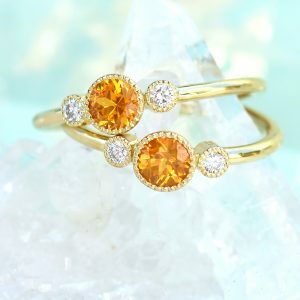 Cluster rings feature a small cluster of diamonds or gemstones either side of the central stone. They can be asymmetric (a cluster to one side) or symmetrical (mirrored clusters to either side). 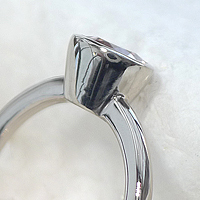 A matching bridal ring set, where the rings sit flush. The ring shanks can be rounded or flat and can be set with small stones in either or both bands. You can choose different band profiles or widths for each ring. 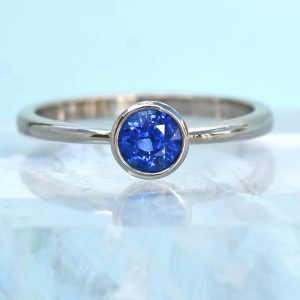 The three stone or trilogy ring is suitable for any combination of round gemstone, from 2mm. 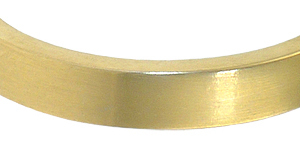 The straight wall setting can be split either horizontally (as shown here) or vertically. The ring shank can be rounded or flat in profile and made from 18ct yellow or white gold or platinum. Whether your ring is a solitaire, a trilogy or art nouveau style design, your stone will be set using one of the settings below. Lilia's flower setting is delicately hand carved and suitable to stones over 5mm in diameter. The straight wall setting is a contemporary design where the stone is surrounded by straight sides of your chosen metal, and the top can be split to allow extra light to enter the stone. Lilia's bud setting is perfect for smaller stones. 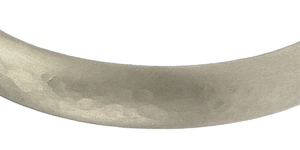 Suitable for stones over 5mm in diameter, can be used in all but the wave, accent and three stone designs. 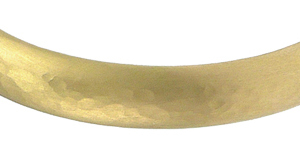 Suitable for all stones over 2mm in diameter and in all ring designs. 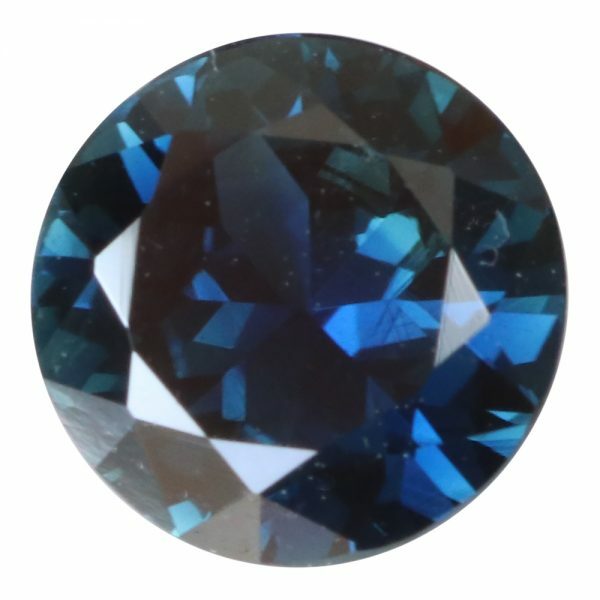 Suitable for smaller gemstones, under 4mm in diameter. This setting looks best on a simple solitaire ring. The top of the setting can be split, horizontally (shown) or vertically. 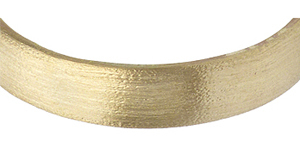 Suitable for any design with a straight wall setting, from 2mm upwards. 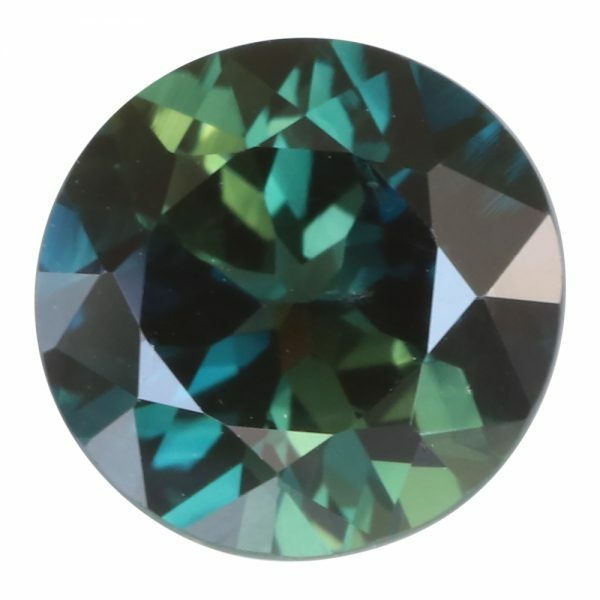 Suitable for all gemstones over 4mm in diameter. 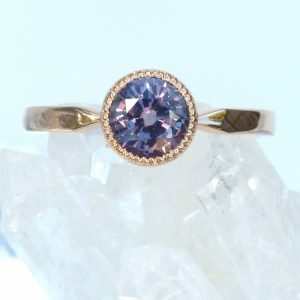 It can be used in the art nouveau, solitaire, side stone, split-shank and ring set designs. The top of the fluted setting is split horizontally or vertically. 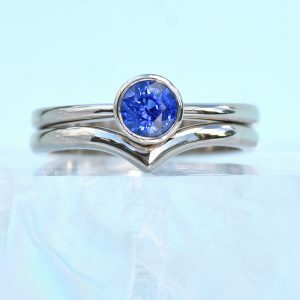 Suitable for gemstones over 4mm in the art nouveau, solitaire, side stone, split shank and ring set designs. 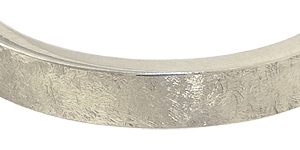 Milgrain engraving is added to the edge of a plain setting to give it a more decorative appearance. 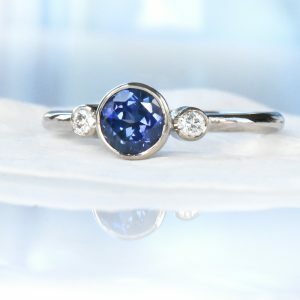 Here it's used to create more dramatic frame for the colour-change sapphire. 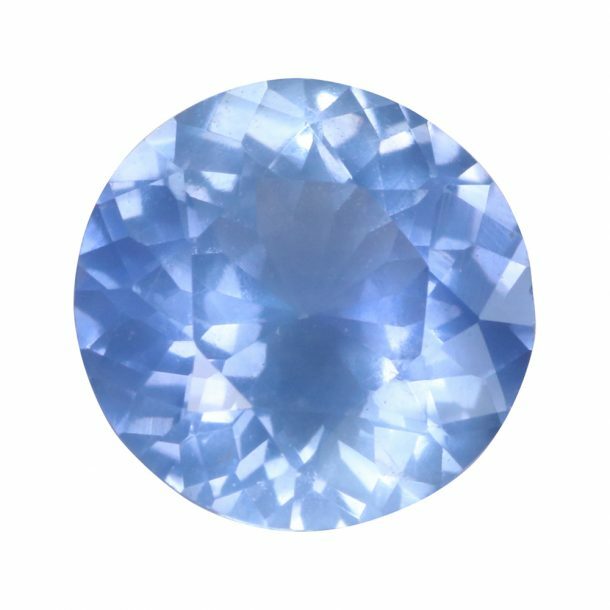 We have in stock a range of stunning gemstones, from sapphires and rubies to tourmalines and aquamarines. 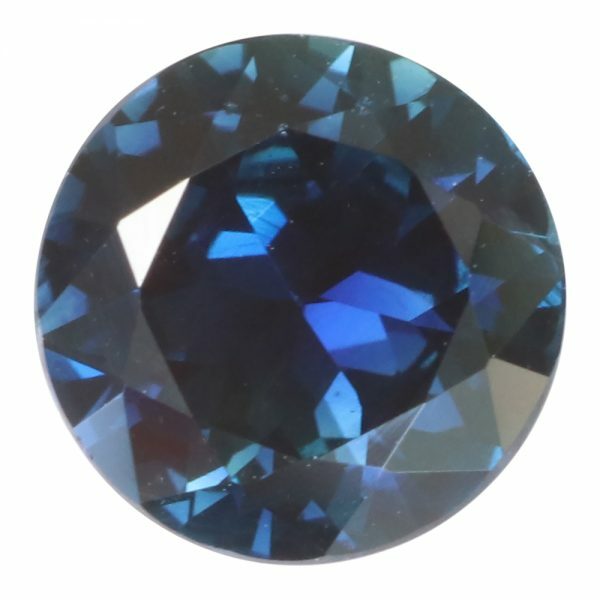 We have gemstones to suit any taste and budget. 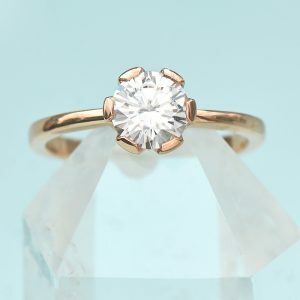 Our prices start from £850 for a classic solitaire ring in 18ct gold. Your custom made engagement ring will be handcrafted by Lilia using the finest recycled 18ct yellow and white gold, and platinum in a number of different finishes. If you are interested in rose gold please get in touch. Ready to take the first step in designing your own engagement ring? Send us some information about the designs, gemstones and other details you like and Lilia will guide you through the process. We offer the option to pay in instalments.